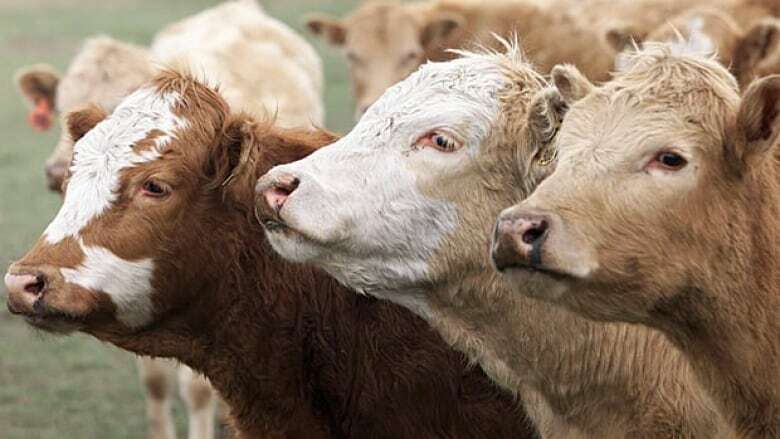 Dry weather on the Alberta range means cattle ranchers need to get creative while feeding their herds, according to the Beef Cattle Research Council. The organization is offering a number of strategies to help manage during the drought, including early weaning of calves, spreading the herd out over larger areas for grazing, using alternative feeds and even culling or selling cows early. Cherie Copithorne-Barnes says she's broken her herd of nearly 1,400 into groups of about 250. "By having to break some of these herd sizes down you're in a lot more areas than you normally would be, and so it's important to make sure that you're using the fresh grass," she said. Barry Yaremcio with the Department of Agriculture and Forestry says the strategy of breaking down herds and spreading them around different pastures is a good one. "If you overuse a pasture this year and the plants try to come back and the cows clip them off and eat them when they're very small, that reduces the amount of food supply that they have in the root system to survive the winter," he said. Yaremcio said producers can use alternative feeds to help the animals through the drought and the winter, including pea straw and lentil straw.